You can fly between the Greek Islands, but for some distances, it’s just as easy to ferry. And these are huge ferries that carry 100’s of people. 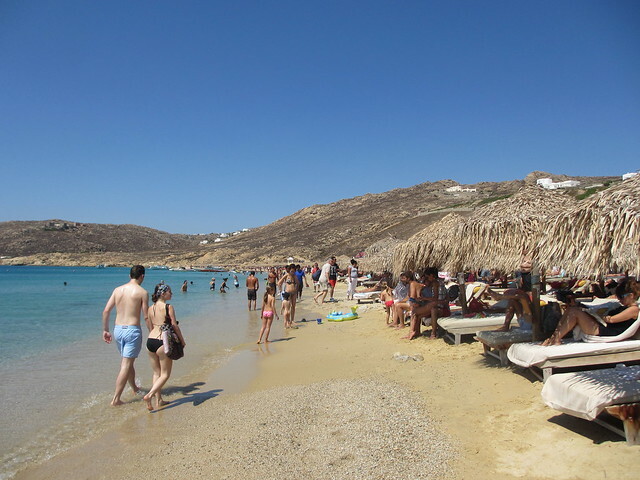 So a 2hr ferry and a 1hr bus trip later, we arrived at the quiet and quaint Elia Beach on Mykonos. 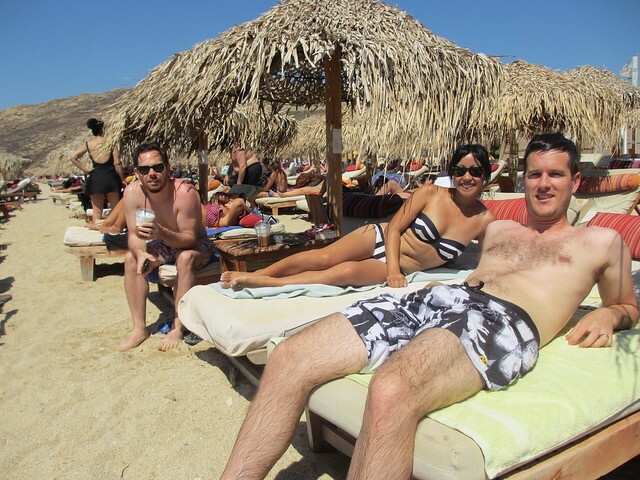 Awesomely, our 2 bedroom unit was on the beach – so cool! 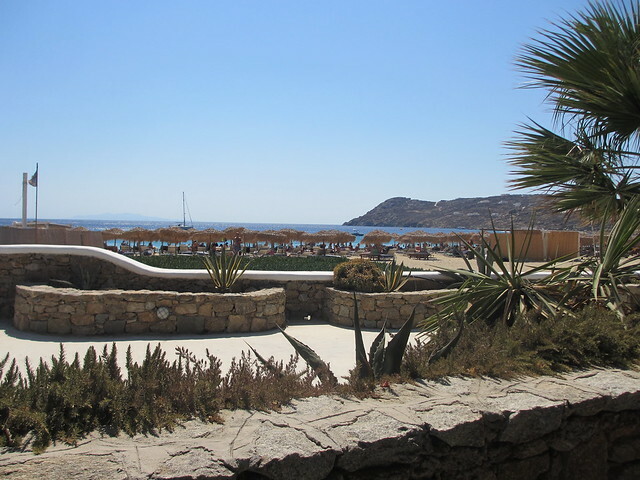 Elia Beach is definitely one of the quieter beaches – no clubs and only 1 bar and restaurant. So we had a long and lazy day of sunning and swimming and reading. It was the most sunshine I’d had in 4 years. It was amazing. It was a very different holiday for Rob and I – no museums and no ancient sightseeing. It wasn’t even a city! But it was super relaxing and we got to spend time with some great friends. 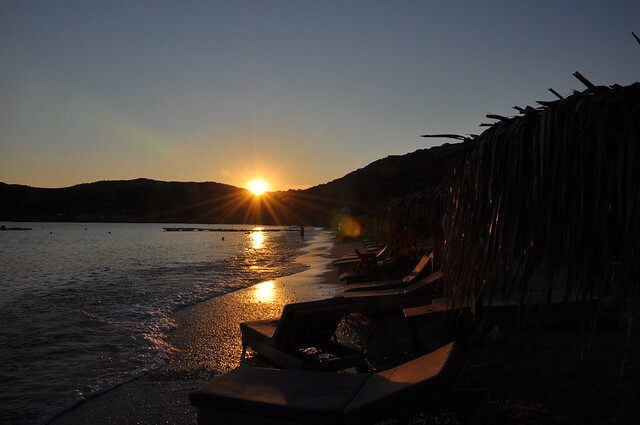 The Greek Islands are iconic and beautiful – just like everyone says. There’s not really a lot of sightseeing to do beyond enjoying the sun, sea and sand, but I think that’s the point. 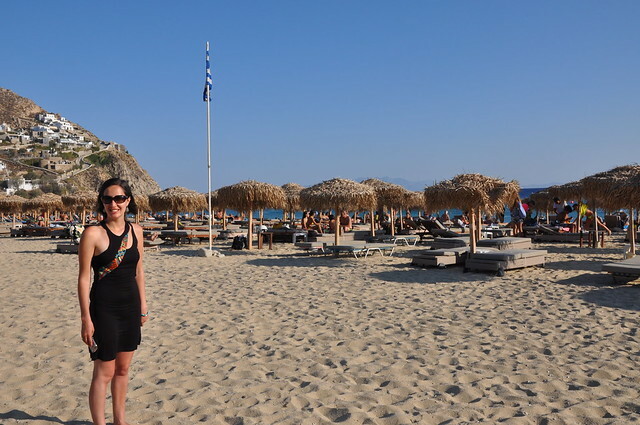 For our last European trip, this was a great one, and I’d recommend others to check out these amazing islands for themselves. Next, we have a couple more UK adventures to post about before we moved back to NZ.